If you’re not familiar with modern machining processes, you might think of mills as primarily being tools for woodworking. 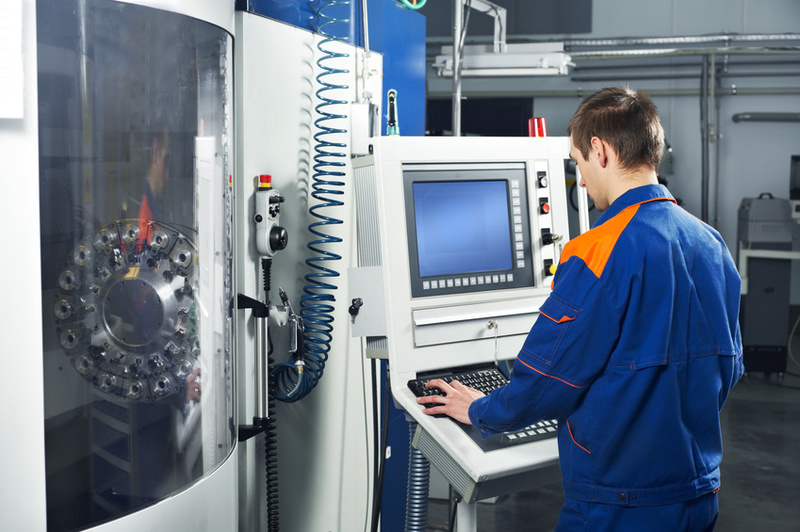 But the rise of modern milling machines and multipurpose machining centers has made milling and mill cutting tools a vital part of metalworking. A milling machine is used to shape a workpiece by cutting away excess material. Milling machines are comprised of two major parts. The head is a movable part that holds various cutting tools. It is attached to a spindle axis, the speed of which is controlled by a motor and is usually adjustable. The workpiece is supported by the second part of the machine, a worktable. This table is usually movable on two axes and power operated. A milling machine operator feeds the workpiece over the milling cutter so that the cutting tool can form the desired shape. Components such as ground slides and leadscrews can reduce the movement variation of the workpiece to less than 0.001 inches for precision cutting. The basic types of cutting tools are the same regardless of the material of the workpiece. End mills for aluminum or other materials have a cutting surface covering an entire end, allowing for profile milling, face milling and plunging. Typically, end mills use interchangeable pieces like drill bits and are used to create pockets in the workpiece. Ball end mills or ball nose cutters create a similar effect, but with a hemispherical tipped tool. Face mills, on the other hand, have multiple blades located along their sides. This means that they always cut in a horizontal direction. A few considerations should be made when working with lightweight but strong metals. Milling materials like aluminum is most successful using tools with deep, polished flutes and extremely sharp cutting surfaces. Although sheet aluminum can be cut using standard woodworking tools, its shavings can clog typical saws, and general power tools don’t allow for the precise machining needed for many applications. Softer materials can be milled at higher speeds than harder materials such as stainless steel. Have you used precision cutting tools or other aluminum cutting tools? What other methods do you recommend for working with aluminum? Posted on October 8, 2014 by Gina. This entry was posted in End mills for aluminum, Precision cutting tools, Threaded shanks. Bookmark the permalink.